For decades, sales strategy centered around promoting goods and services directly to potential customers. In most cases, the “spray and pray” approach was employed, from standing on street corners shouting about why you should buy to billboards and newspapers ads that got in front of lots of eyeballs, many of whom had no interest in what was being shilled. Over time, tactics evolved along with the technology. Direct mail, cold-calling and networking proved to be a little more effective (but just as time consuming) for salespeople desperate to hit their rising quotas. Dialing for dollars and having scores of meetings to generate a smattering of substantial deals just isn’t a great way to grow and scale a business. Meanwhile, consumers have become a savvier animal. They’ve wised up to the unrealistic promises of advertising and now find blatant sales pitches to be instant turn-offs. Instead, they want reach their own conclusions, confident that they’ve done their research and are making unemotional decisions based on facts and ROI. To meet the preferences and demands of this new paradigm, sales and marketing organizations must make fundamental adjustments in their approaches, from how they position their offerings to where they allocate their marketing budget and the structure of their organizations. 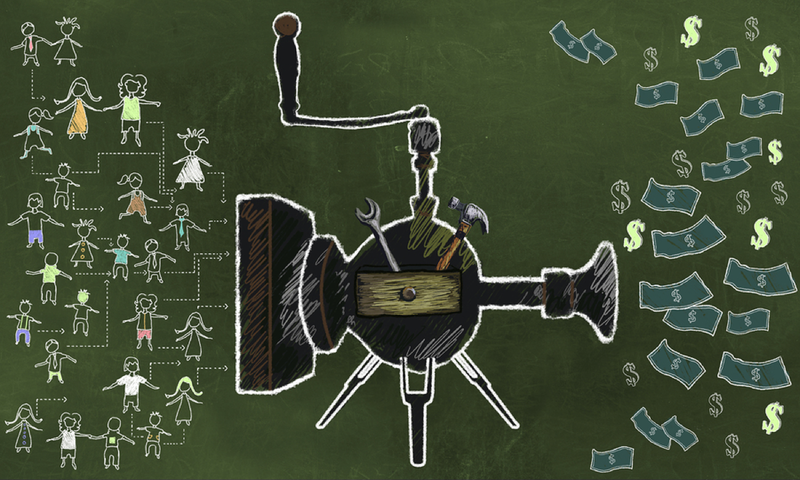 A critical key to success is understanding the differences between Outbound and Inbound Sales. Pro Tip: Learn how sales must evolve in the digital age by downloading this research report. Outbound Sales is trying to proactively contact and generate interest among as many prospects as you can by flagrantly flaunting the attributes and benefits of a product or service. It’s foisting generic sales pitches on potential buyers no matter where they are in the path to purchase. It’s actively seeking to close deals and is often perceived as pushy since it’s all about the salesperson’s timeline and agenda, not the customer’s. Outbound Sales might include some level of targeting and lead identification (you don’t hear about too many sales people cold calling college students trying to sell them bulldozers), but it is largely a one-size-fits-all approach. In today’s world of personalization and endless choices, it’s a square peg for a round hole. 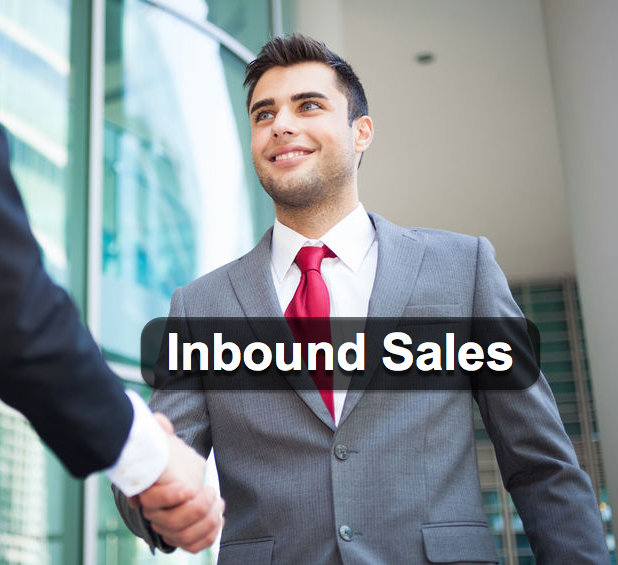 Inbound Sales is focused on meeting potential buyers where they already are. Instead of telling them why they need the XT-3000 and how great it is, Inbound Sales strategies focus on providing useful content and information to prospects that speaks to their own challenges and situations. 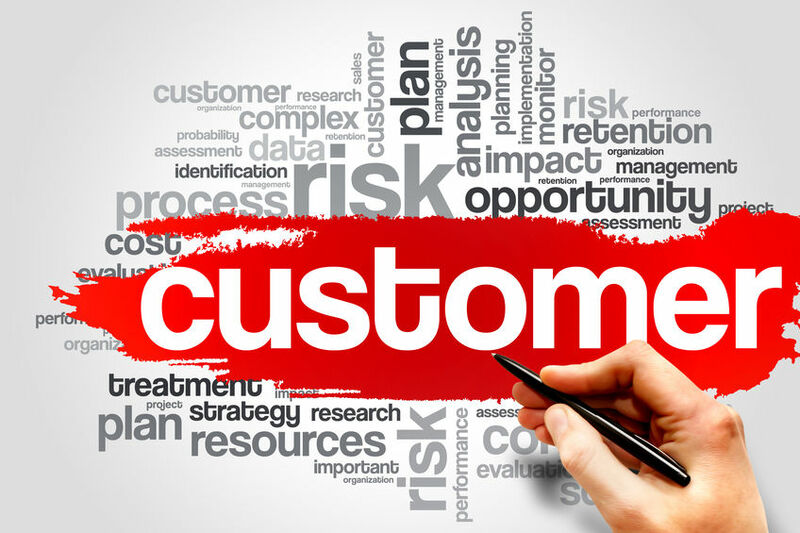 For this content to be valuable, it must go far beyond highlighting the specs of products or testimonials from happy customers; it needs to provide data and useful information even for people who don’t end up making a purchase. Buyer Personas are one way Inbound Sales activities create customized content for their audience. Figuring out who is most likely to purchase your product lets organizations better understand their potential customers and focus their activities on individuals that are the most likely to actually buy something. Understanding each persona’s interests, fears, concerns and common experiences is the starting point for Inbound Sales activities, as the content and messaging being used to inform and connect with them. Just like people, personas aren’t static—they learn more about potential solutions to their challenges, they make their case to internal stakeholders, they secure budgets, they test and pilot before finally making a go-no-go decisions. These phases of the buyer’s journey can be categorized as Awareness, Consideration and Decision Stages. Each step of the way they’re savvier, smarter and more informed, and the communications and content they’re seeking needs to match those circumstances and continue adding value. Tracking every prospect’s consumption and engagement of content is a way to populate their digital profile and determine what action, message or content item is the best fit for the next stage. In addition to your personas evolving along their individual paths to purchase, your offering may very well have multiple personas that could be potential buyers, whether you’re selling to different industries or you just have multiple types of users and use cases within the same vertical. 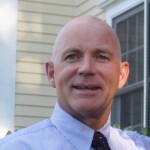 This again is where customized content is the key to Inbound Sales success. Identify Stage—Inbound Sales pros know that finding the right prospects to focus their energy on is the best use of their resources. During this initial stage you’re mapping leads to personas and the entry points prospects have made to the sales funnel. Connect Stage—Here is where you proactively contact leads, providing relevant content based on what you know about them so far. Again, it’s not a sales pitch, but rather an information source for the curious prospect. In an Outbound Sales model, this is usually where things begin, with salespeople bludgeoning un-vetted prospects with generic pitches and materials. Explore Stage—This is the listening and questioning phase of the process. You know they’re interested and now it’s time to dig in and see what matters most to your prospects while noting to yourself which features and benefits will be the most appreciated by each potential customer. Advise Stage—As a credible and trusted advisor, you’re now in a position to provide a highly personalized pitch to the prospect that addresses all of the issues, concerns and pain points you’ve identified to get to this point. If it seems like the Inbound Sales methodology is a lot more work than traditional Outbound Sales tactics, you’re not completely wrong; Inbound Sales requires exercising a lot more muscles than the brute force, repetitive actions of old-school sales teams. You’ll need to create great content that connects with prospects along their entire journey, ensure it’s discoverable and accessible, create compelling calls to action and track behaviors and interactions for thousands of prospects. If your marketing team is implementing Inbound Marketing and have developed a content strategy, then they most likely have already created a lot of valuable content that can be applied for outreach by the sales team. With the right frameworks, technology solutions and best practices, Inbound Sales can generate far more high-quality sales opportunities and prepare them to actually buy when you finally make the big ask. 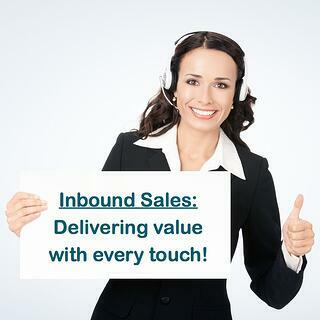 Embracing Inbound Sales and doing it right is a major commitment, so don’t try and go it alone and settle for mediocre results. Look for an experienced consultant that can help get you set up with the right tools and approaches to position your team for long-term success. Check out the eBook: "A Guide to Inbound Sales, Transforming the way you sell to the modern buyer."